Is retirement approaching on the horizon? If you’re like most people, retirement is your ultimate financial goal. It’s your opportunity to take control of your schedule and live life on your terms. Perhaps you want to retire as soon as possible. Timing is important, though. If you retire too soon, you could deplete your assets and run out of money before you reach the later years of retirement. Retire too late, and you might miss out on valuable years that you could spend pursuing your dreams. What’s the answer? When is the right time to retire? There’s no universal right answer for everyone. 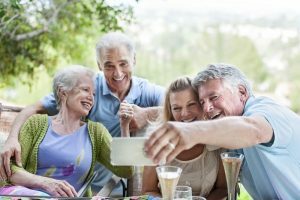 Your decision on when to retire should be based on your unique goals, objectives and needs. Consider your desired lifestyle, your family obligations and perhaps even work commitments that you need to complete before you retire. Not sure if you’re ready? Below are a few questions to ask yourself as you make your decision. If you don’t know the answers to these questions, you may need to do some more planning. A financial professional can help you develop your strategy and solidify your retirement plans. If you’re like most people, you’ve been looking forward to retirement for years. But have you given thought to what most days in retirement will look like? Many retirees initially enjoy their free time and their lack of work commitments. It’s common, though, for many retirees to grow frustrated or bored over time. Some even suffer from depression or anxiety because they feel like they no longer have purpose. Boredom can have an impact on your financial stability, too. Many retirees choose to fill their free time with things like shopping, travel and dining out. The risk is that you may deplete your assets in the early years of retirement and have few assets remaining in the later years. If you don’t know how you’ll spend your time in retirement, now may be the time to think about your options. It’s often helpful to write about your ideal day in retirement. How would you spend your time? What activities are most important to you? Think of ways you can enjoy retirement without excessive spending. Social Security is a valuable resource for retirees, and it’s likely to play an important role in your financial picture. It’s one of the few retirement income sources that’s guaranteed for life, so it can provide much-needed financial stability. You may have a strategy for how to fund your retirement. As you likely know, however, plans are disrupted all the time. The market could take a downturn, limiting your ability to generate income. You may face serious illness or even a need for long-term care, and the related costs could drain your retirement assets. What’s your backup plan to deal with these potential risks and more? You may want to talk to a financial professional about how you could better manage risk. For example, you could use an annuity to guarantee your income or minimize volatility. You could consider long-term care insurance to reduce your out-of-pocket costs. Ready to plan your retirement strategy? Let’s talk about it. Contact us today at Spicer Wealth. We can help you analyze your needs and implement a plan. Let’s connect soon and start the conversation.